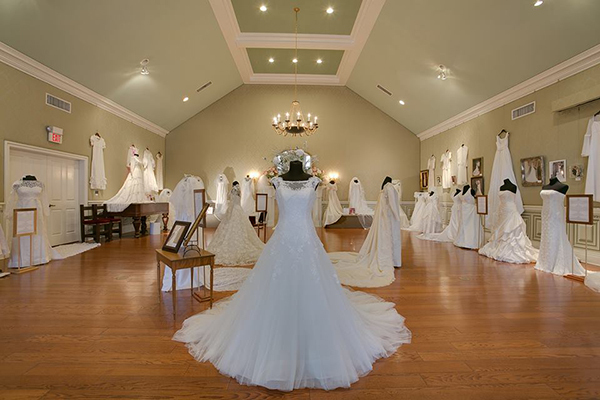 MURFREESBORO, Tenn.-- Stories of our community will come to life through wedding gowns on display at Oaklands Mansion. Step back into time and experience the common threads that weave our lives together as we explore women's history, fashion history, cultural history and the history of our community. Over fifty gowns will be placed on loan and exhibited, most for the first time. The "Wedding Dresses Through the Decades" exhibit in Maney Hall at Oaklands Mansion will take place from January 19 through March 3, 2019. Vintage gowns from the past 100 years will be on display along with brides' photos and stories from their wedding day. During this exhibit, guests will have the rare opportunity to view items from, not only the museum's collection, but also elegant and fashionable wedding dresses worn by ladies from Murfreesboro and around the country. Also on exhibit are bride dolls from different decades in many different sizes and vintage bridesmaid's dresses. "These treasured garments reveal stories and secrets of the past and have been stored for decades under beds and in the back of closets," said Mary Beth Nevills, Education Director of Oaklands, "We look forward to sharing with you this year's exhibit, full of new dresses from our community's past." Witness the changes in fashion from different areas, eras and cultures as we transcend time to the modern day bride. The exhibit will be open daily, Monday-Saturday 10:00 a.m. - 4:00 p.m. and Sundays 1:00 p.m. - 4:00 p.m. Admission to the exhibit is $10.00 per person and is open to the public. Mansion tours are available at regular rates during regular museum hours and combination tickets for the exhibition and house tours are available at a reduced rate. Group tour rates are available with a reservation.